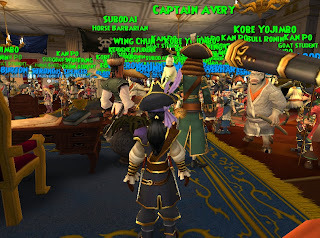 Yesterday Kingsisle had this amazing Sneak peek for all to get to play Pirate101 and let me tell you players were out in force! I had such a blast getting to talk to so many. The picture above was taken inside Avery's Office were all Pirates start their very first quest. I decided to sit outside Avery's Office at one time just to watch the reactions as players came out of the building. The best reaction I saw from the whole day was this O: That says it all because that is exactly how I felt the very first time I walked out of Avery's Office. Some other reactions were; WOW, This is awesome, Wicked and OMG. I can tell you I felt every single one of these reactions the very first time I saw Pirate101. 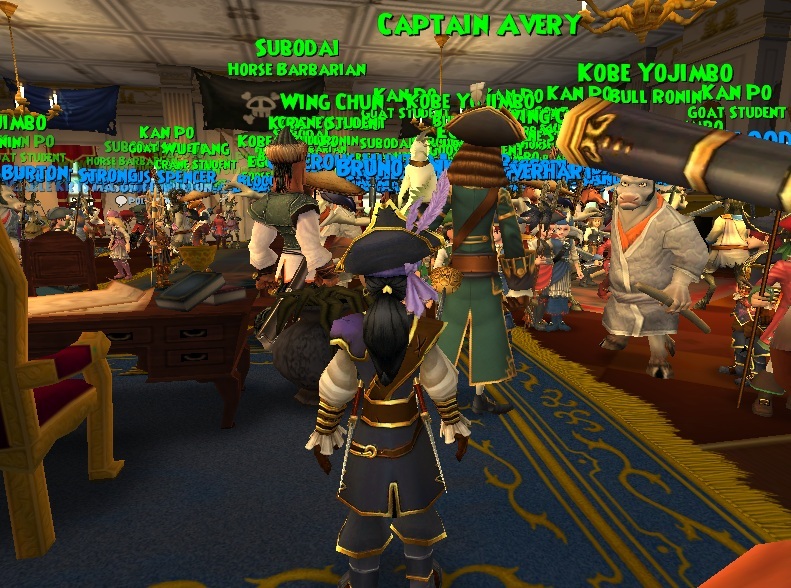 There were so many Pirates we had Avery realm full to the rim and falling into Blind Mew realm. Most Pirates I talked to were saying they could not wait till the game launched. At one point I decided to take to the skyways There were so many ships in the skyway I was having so much fun I forgot to snap a shot of this one time where there were so many ships in one spot it looked like we were building our very own Flotsam. 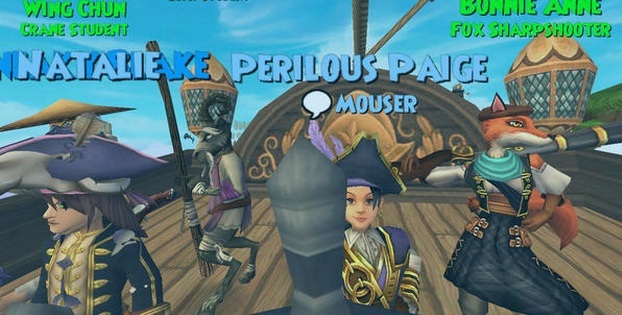 If anyone got a picture of this please send it to Paige@paigemoonshade.com I would love to add it to this post. I want to give a great big BRAVO! to Kingsisle for another fantastic game to add to their Wizard101! The 8th will begin our adventure for the head start week and launch is scheduled for October 15,2012. Hope see you in the Skyways!